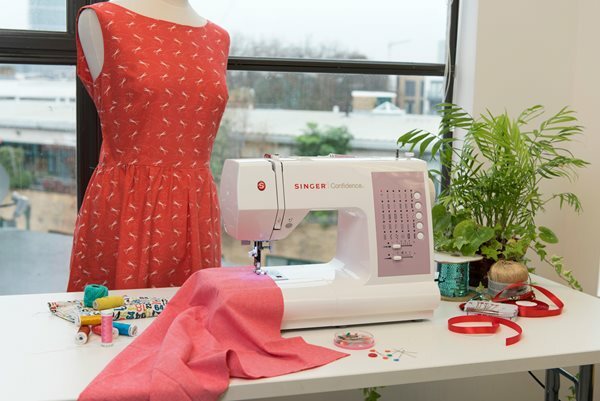 To celebrate the publication of The Secrets of the Sewing Bee by Sunday Times bestselling author Kate Thompson we’ve teamed up with Singer to offer readers the chance to win a Singer 7463 Sewing machine. orphan flossy brown arrives at trout's garment factory in bethnal green amidst the uncertainty of the second world war. in 1940s london, each cobbled street is strewn with ghosts of soldiers past, all struggling to make ends meet. for the women of the east end, their battles are on the home front. flossy is quickly embraced by the colourful mix of characters working at trout's, who have turned their sewing expertise to vital war work. they fast become the family that flossy has always longed for. dolly doolaney, darling of the east end, and infamous tea lady, gives her a particularly warm welcome and helps flossy settle into wartime life. things aren't so easy for peggy piper, another new recruit at the factory. she's used to the high life working as a nippie in the west end, and is not best pleased to find herself bent over a sewing machine. but war has the ability to break down all sorts of class barriers and soon peggy finds the generosity and spirit of her fellow workers difficult to resist. dolly sets up a sewing circle and the ladies at trout's play their part in defending the frontline as they arm themselves with their needles and set about stitching their way to victory. but as the full force of the blitz hits london, the sewing bee are forced to shelter in the underground tube stations on a nightly basis. uk residents only. competition closes midnight on 31 may 2016. Required form 'singersewingmachinecompetition' does not exist.